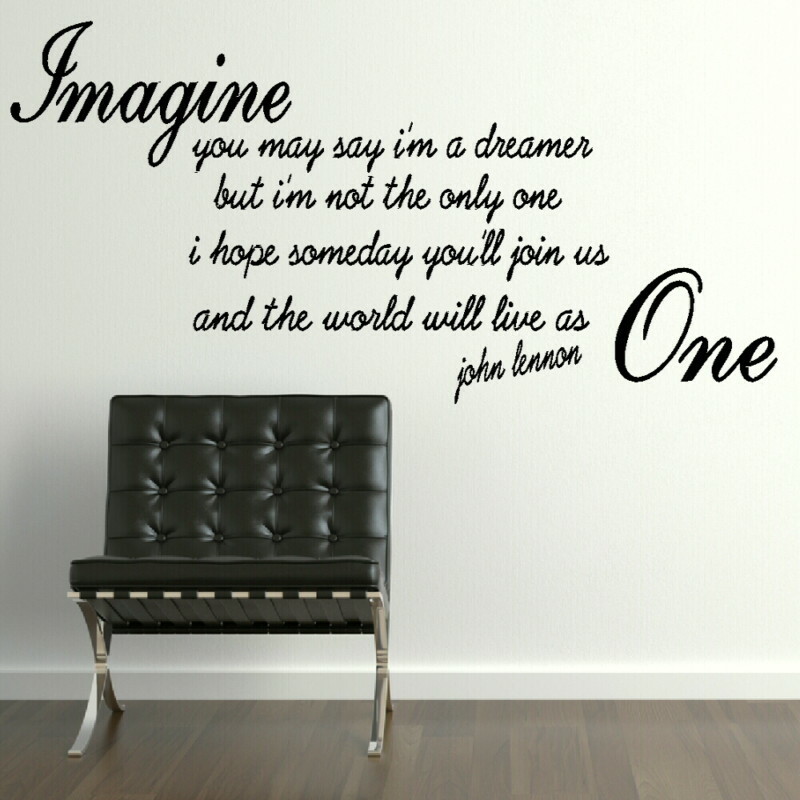 John Lennon is famous for his musical talent, but also for his belief in possibility of world peace, if you share that vision then write it large, with our John Lennon Imagine…the World Will Live as One Quote. 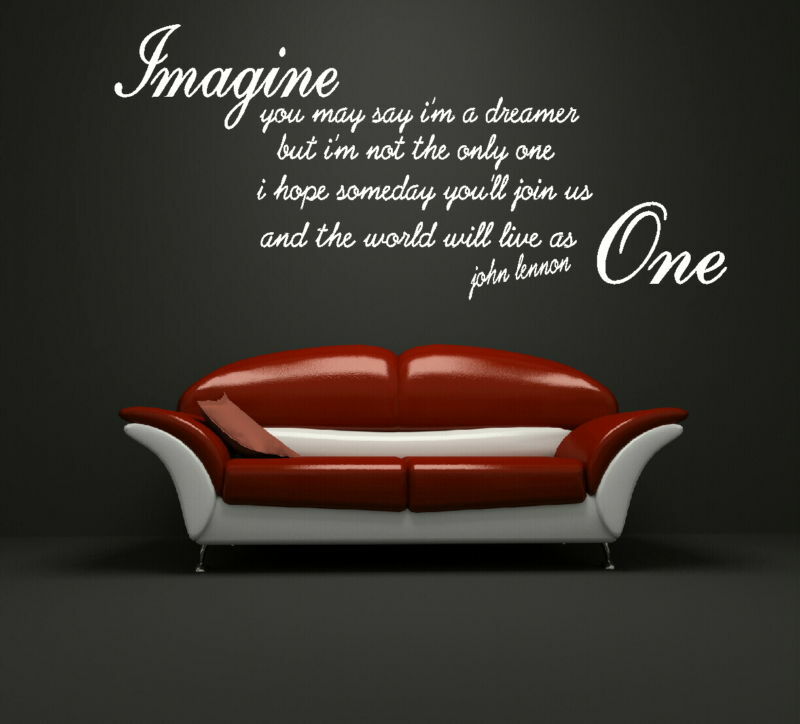 Using phrases to illustrate ideas that catch your imagination will give a house character, they add interest to a room and make a great talking point. 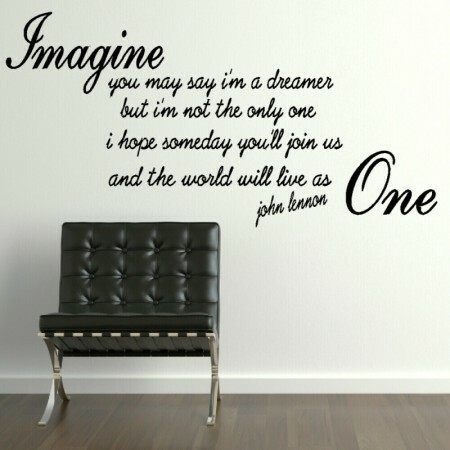 You can make a big impact with larger decals and brighter text, or go for a more laid back ambiance by applying muted shades that blend with the existing paintwork. Either way, installing our designs will take a matter of minutes and can be undertaken by anyone.